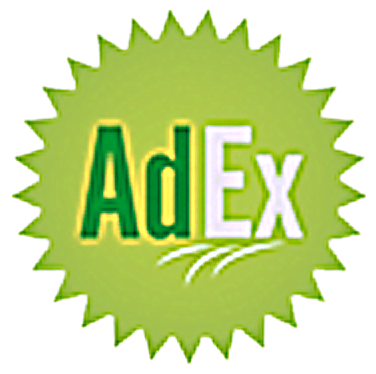 The delivery of AdEx commercials are dependent on a numerous processes both manual and automated. A Notification list can be created to secure a correct delivery and control of the different processes running. These Notification lists can be entered in the appropriate TAG schemes when delivering mediafiles. What if you forget, or choose not to add any additional recipients? Something needs attention from you or the recipients. Notifications are sent to the registered mail or SMS. If you would like to notify your clients or colleagues, choose “+ Add new notification list”. A dialog for creating a favorite notification list opens. In the “recipients field” type an e-mail or a mobile phone number. For phone numbers use the country code then the number. (You do not need a + sign or 00 in front of the country code). Select from the list or just add a new recipient. Click enter to add it to the list. Start typing a new recipient to add additional. You can remove recipients by clicking the “x” next to a name or number. Select from the list and choose a Template. Check the tick boxes for the process you wish to follow. To make the list available for other users in your company, click the check box. Type a name for your favorite. The name you enter will appear in the notifications drop down menu the next time you use Mediabank to send your mediafiles. A name referring to your client or campaign can be useful. Uploaded and ready for manual QC must be ticked to receive a notification when the mediafile is uploaded. After you have selected your assets (media content) and decided your destination, you must fill in mandatory metadata. The below example is used in the standard Library template. A typical message from Mediabank (media content delivered without errors) delivered to your email or smartphone.